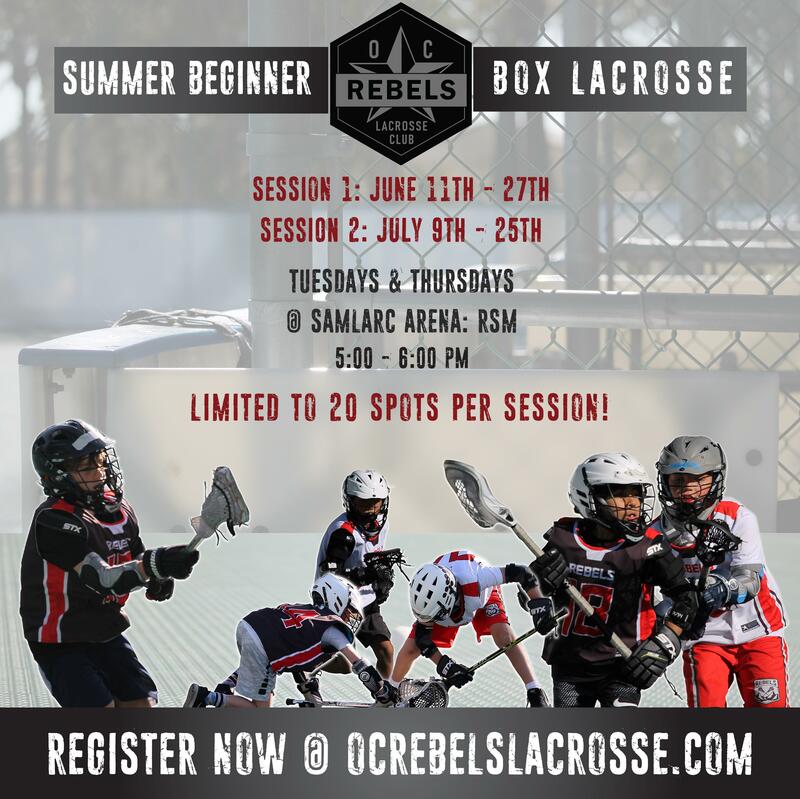 Welcome to the OC Rebels Beginner Box Lacrosse Series! This series is designed for players from 1st - 6th grades who are new to lacrosse. We will work on each of the fundamentals of lacrosse, including ground balls, catching, throwing, and cradling, in a small-field setting. Learning lacrosse in a closed arena or "box" allows players to get more repetitions because the ball never goes out of bounds! Sessions will be held at the SAMLARC Central Park Rink in Rancho Santa Margarita. This series is limited to just 20 players per session and will fill up fast. Register today to reserve your spot! ALL Players are required to have a current US Lacrosse membership for insurance purposes. You can get a membership, or renew your membership here. New players will have the option to borrow basic gear (helmet & stick) at each practice. We also have a limited number of WARP junior sticks available for sale, which can be found on the registration page.